COMBINE mayonnaise, red wine vinegar, caraway seeds, pepper and salt until you’ve reached a smooth dressing. 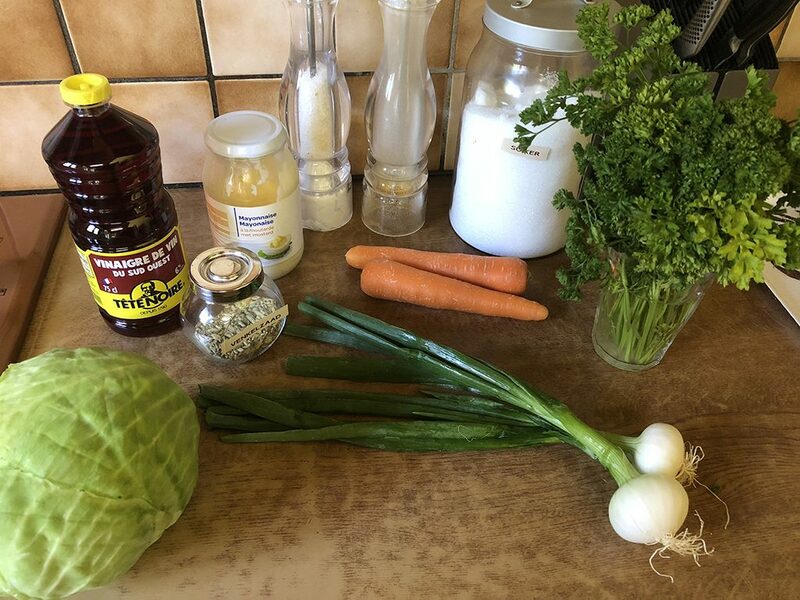 REMOVE the outer leaves and the hard parts of the white cabbage and coarsely grate the cabbage. PEEL the carrots, remove the ends and also coarsely grate the carrots. 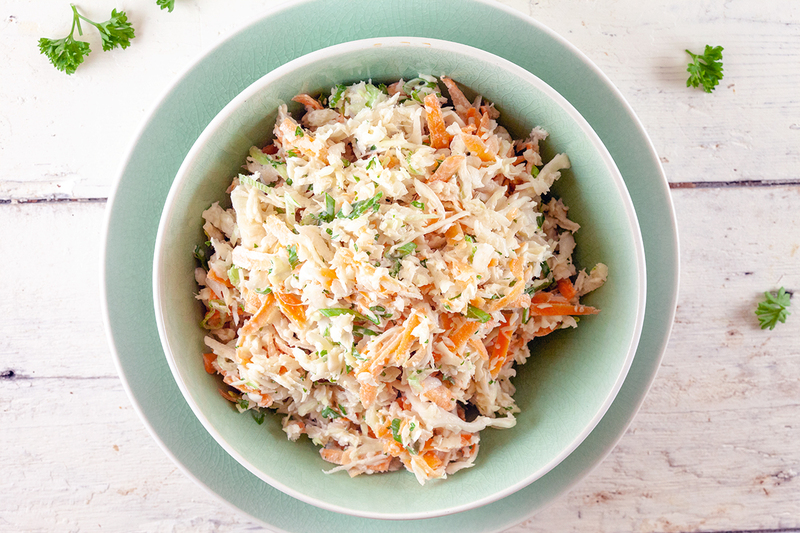 COMBINE the grated cabbage and carrots with the mayonnaise dressing in the large bowl. 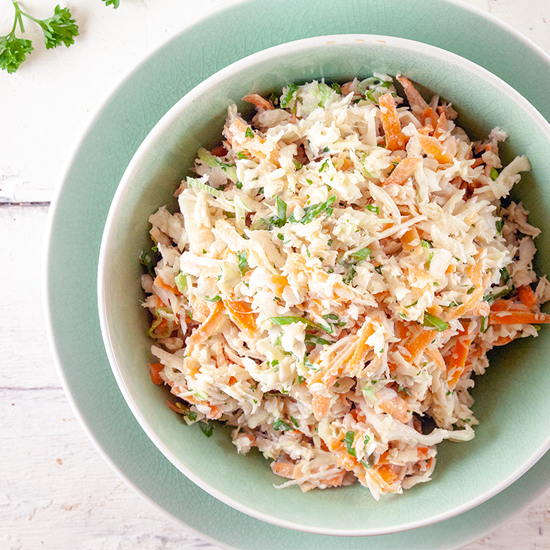 COMBINE the dressing with the grated cabbage and carrot.If you want to create the coleslaw on forehand, you can choose to stir in the dressing later on. DIVIDE the green onions into thin rings and finely CHOP the parsley. 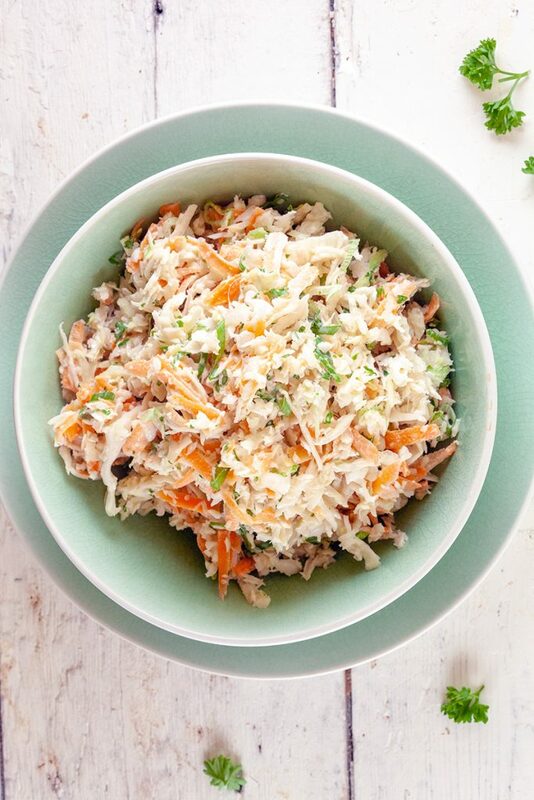 FINISH the coleslaw with green onions and parsley. SEASON with pepper and salt, now you can optionally wait about an hour to enhance the flavours. Don’t wait too long, otherwise the veggies won’t be crisp anymore. Enjoy!